2015 has been a great year for spies at the multiplex. Not only have the movies been entertaining, they have all offered different takes on the espionage genre. Kingsman: The Secret Service brought back the cool gadgets: Spy was a hilarious comedy: and Mission: Impossible – Rogue Nation set the bar high for action. 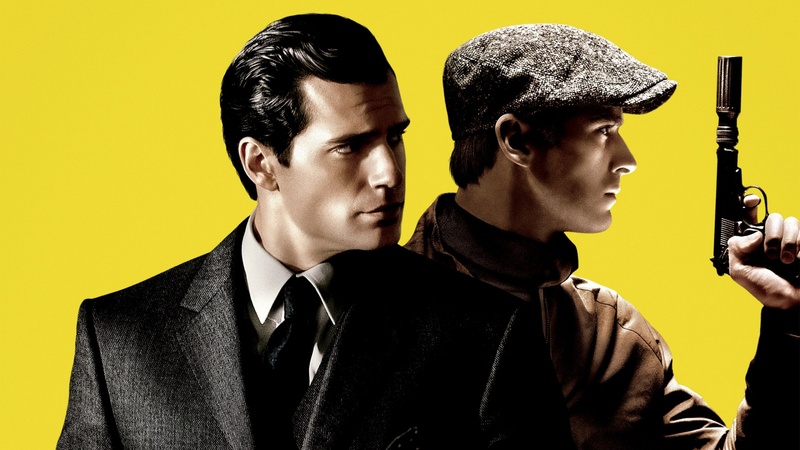 Enter Guy Ritchie’s The Man from U.N.C.L.E. : based on the spy-fi NBC TV series (which aired from 1964 to 1968), it has all the stylistic elements you’d expect from the director, benefitting more from the chemistry of its cast than its storytelling or action. After an opening credits sequence which niftily recaps the cold war tensions of the 1960’s we meet Napoleon Solo (Henry Cavill), a CIA agent who’s been sent to extract Gaby Teller (Alicia Vikander) from East Germany. Doing his utmost to stop him is the KGB’s Ilya Kuryakin (Armie Hammer), but despite his interference Solo manages to accomplish his task. However, less than 24 hours after their initial encounter the two spies learn that they must team up to stop a criminal organisation led by Victoria Vinciguerra (Elizabeth Debicki) from acquiring nuclear weaponry. As narratives for spy movies go, U.N.C.L.E. is relatively unambitious. Essentially it boils down to chasing a macguffin – in this case, Gaby’s imprisoned nuclear scientist father – and while the twists that do inevitably come are well executed it’s never shocking. Thankfully, there are more than a few not so secret weapons that Ritchie’s latest has in its favour. For one thing, the film is a visual treat: along with all the impeccable suits and stunning dresses, the superb cinematography from John Mathieson ensures that there’s always something beautiful to look at. But enjoyment of U.N.C.L.E. lives and dies on the banter between Solo and Kuryakin, and the winning chemistry between its stars is often a joy to watch. The tried and tested opposites attract formula works a treat here: Cavill brings his hitherto unseen charisma to the fore as the suave and arrogant Solo, Hammer scores plenty of laughs as the easily irritated Kuryakin, and the witty, innuendo-filled dialogue rarely stops flowing. That’s not to say the men have all the fun: following strong performances in Son of a Gun and Ex Machina, Vikander steals a handful of scenes as Gaby. Going undercover as Kuryakin’s fiancé yields playful flirtation – and hilarious drunken dancing – but she is gradually revealed to have her own agenda, in doing so becoming a far more capable and well-rounded character. Debicki also leaves an impression as the strikingly dressed villain Vinciguerra, who proves her smarts on multiple occasions. Indeed, it’s a shame she isn’t on screen more often, a notion that also applies to Jared Harris and Hugh Grant, both of whom nonetheless offer fun contributions. Though it never comes close to the thrills of Mission: Impossible – Rogue Nation, U.N.C.L.E. doesn’t skimp on action. The best set piece occurs in the aforementioned opening sequence which pits the two spies against one another. While it’s slightly disappointing that the film never quite reaches this level again it’s always slick and often cleverly shot, with Ritchie making smart use of split-screens in the final act (though the flashback device is used a couple times too often). It’s all set to Daniel Pemberton’s jazzy score, a consistent delight which begs repeat listens. 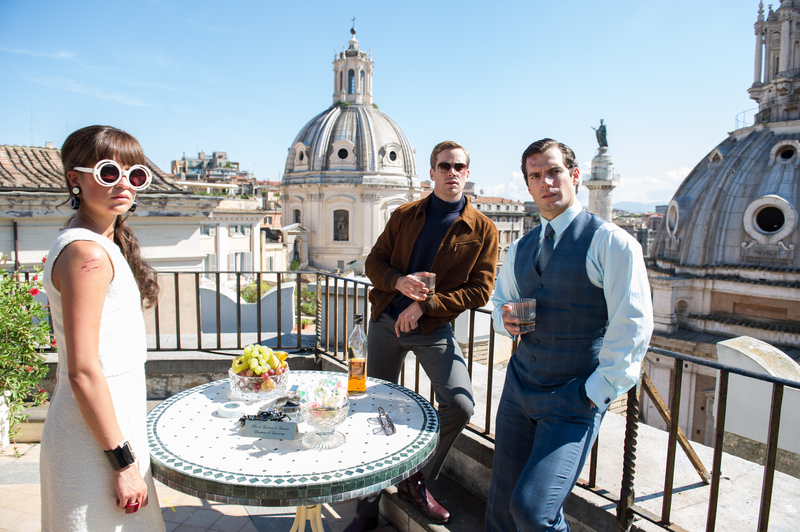 It may be a little short on substance, but oodles of chemistry, style and charm ensure that The Man from U.N.C.L.E. is almost always F.U.N. In an era where even Bond has acquiesced to Bourne-like grittiness, that’s something spy franchises need more of. This entry was posted on August 14, 2015 by Amonymous. It was filed under Film Reviews and was tagged with alicia vikander, Armie Hammer, daniel pemberton, Guy Ritchie, Henry Cavill, man from u.n.c.l.e., man from uncle. I really want see this, sounds like slick spy fun.